Our wonderful media sponsor The Foothills Focus publishes a weekly Pet of the Week column featuring Anthem Pets’ adoptable animals. Thank you Foothills Focus! Read the latest issue here. Don’t forget to pick up this free newspaper at your favorite local store. Our other great media sponsor, the 85086 Magazine, does a monthly feature which highlights one of our rescue success stories. They are heartwarming stories of how love and compassion not only changes the life of a rescued pet, but often the person who gave them a second chance.Please click here to read their latest feature. Thank you 85086 Magazine! 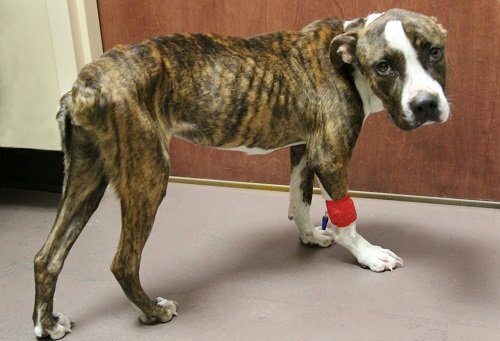 This emaciated, female Boxer mix was found curled up on a porch in Anthem. The dog was fearful and growled when the homeowner put out food and water. Anthem Pets was contacted and immediately transferred her to Daisy Mountain Vet Hospital. Named Thursday, this poor girl was a mystery: did she get loose or was she abandoned, and how long did she wander before curling up on that porch? But the pads on her paws were smooth and undamaged, not what you’d expect of a dog trying to survive outdoors. What is the answer? We don’t know, but one possibility is even worse: that Thursday was kept indoors and starved before she escaped or was abandoned. Thursday received medical treatment and was brought back to health. Her weight went from 22 lbs to 46 lbs and with gentle hands, love and care, her fear of people left and she was adopted by her foster family. Amazing that this poor girl can distinguish between those who abused her and those who adore her, forgive us all and love people again. Daisy, a miniature poodle, had a home. It wasn’t perfect, but it was all she knew and she loved her family very much. Daisy was excited when they put in her the car, because she loved going for rides. After a while the car stopped. Great, Daisy thought, we’re going for a walk. But she became confused when her family got back in the car and shut the doors. Then the car started to move: she looked up at the windows, but no one looked back. Daisy had been abandoned in the Arizona desert. She couldn’t walk well, because she suffered from a painful condition that affected her knees. The sand was hot, and cactus spines punctured her feet, but Daisy tried to follow the car. No one knows how long Daisy wandered in the desert, but amazingly someone found her and contacted Anthem Pets, a 501 (c)3, volunteer, animal rescue group based in the Phoenix North Valley. Daisy was in bad shape. She was dehydrated, malnourished, and her back legs were so matted together that she could barely walk. During treatment the veterinarian discovered the condition called Patellar Luxation, which made walking painful: without surgery euthanasia would have been needed. After all she had been through, the volunteers at Anthem Pets were not ready to give up on Daisy. They began raising money for the costly, orthopedic surgery and by December they had reached their goal…a true holiday miracle! Daisy underwent surgery and was immobile for two weeks. As she recovered her foster family fell in love with this brave, sweet girl who had suffered so much yet loved everyone around her. Soon Daisy’s foster family became her forever family. Like everyone else involved in her rescue, they saw the diamond in the rough just waiting to shine! Today Daisy is a happy girl in a wonderful home, where she will spend the rest of her life surrounded by kindness, gentle words and endless love. Being a mother isn’t always about hectic early mornings, rushing to get lunches made or searching for that missing sock before the bus passes by the house. Being a mother, sometimes, isn’t about human kids at all. For Maxine, this past Mother’s Day was celebrated by becoming the new mom to a sweet faced little fur kid she calls Annie. “She looks a bit like a little orphan Annie” Maxine explains as she adoringly describes Annie’s cute face “with big, loving eyes…but the rest of her is a bit scraggly”. 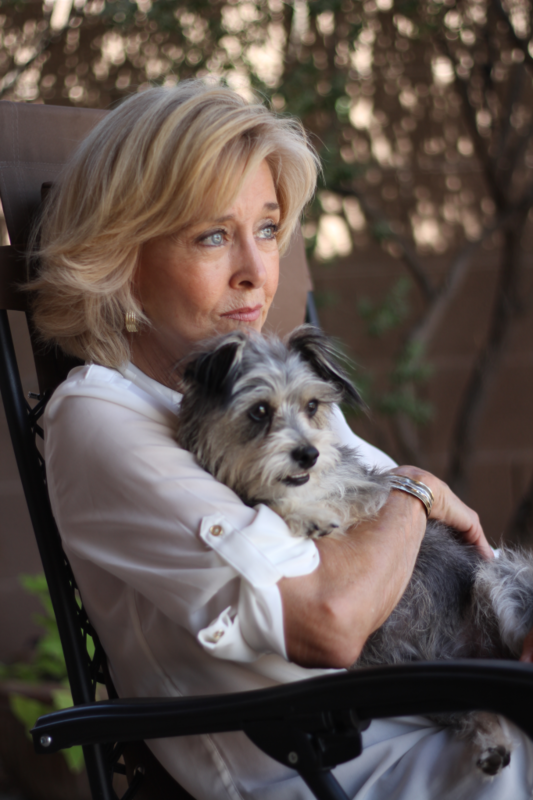 Before moving from Florida to Anthem, Maxine made up her mind to adopt a rescue dog once she was settled in Arizona. As fate would have it, Annie and Maxine were brought together on May 10th, 2014, and another successful Anthem Pets match was made. Annie is a young Yorkie mix, who had a few trials and errors with potential homes after coming to Anthem Pets as a stray. She struggled in each new environment to control her behaviors. 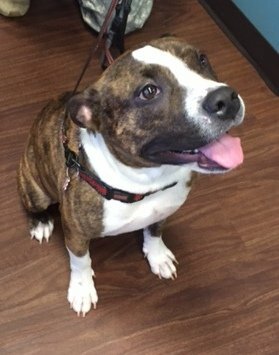 What Annie needed was someone with a calm, patient personality willing to give her the time required to adjust and fully blossom into the amazingly well-mannered pooch everyone knew she could be. Thanks to the many connections within the Anthem Pets community, Annie got exactly what she needed and Maxine got just what she had hoped for. Maxine couldn’t be happier with her new companion. “Every morning we get up early, I get coffee, she a biscuit, and we sit together in the cool morning air on the patio and watch the parade of birds and animals—quietly bonding…I tell her, ‘it’s the morning show’! I’m so happy to once again have a pet in my life. Animals are special – and so is Annie”. Willow ran away from home. She didn’t intend to, she loved her home. But one day she decided to explore the neighborhood, and soon this young, black cat couldn’t find her way back. Later, they would learn that she had traveled many miles. Willow ran across roads and through fields until she suddenly found herself at the scariest place she’d ever been: at the side of a highway. When she tried to run across she was hit. In terrible pain and scared, all she could do was lie at the side of the road with rush hour traffic zooming past. She thought of her family, and the little girl she slept with at night. Willow thought she would never see them again, and then an amazing thing happened: a Good Samaritan stopped to help her. The driver contacted Anthem Pets, a 501 (c) 3, volunteer, animal rescue group based in the Phoenix North Valley. They immediately took Willow to a veterinarian where they learned she had multiple lacerations and a broken leg that would require surgery. Willow spent weeks in a cast. During that time Anthem Pets tried to find her owner. Willow wore a pink collar and was micro chipped, but the information was no longer valid. They knew that somewhere a family was grieving the loss of their beloved cat, so they looked online and posted notices on various websites, all to no avail. After weeks of searching, a volunteer decided to look once more at Craigslist, and there it was: a post from Willow’s family. The reunion was heartwarming and emotional. The family was on a fixed budget and could not afford the veterinary expenses, so Anthem Pets paid the bills. It took many months for Willow to make a full recovery. She is once again thriving, affectionate and curled up with her best friend at night. She promises never to go exploring again.